Captain Jack’s Armbar Emporium Ep. 38: Halloween Havoc 2017! Captain Jack (@JackHeartless) is back with a special bonus episode, as he interviews Ted from the vintage pro wrestling merch website and Instagram, (@wrestling4sale). They talk about his early memories as a fan, what drew him to collecting and selling vintage merchandise from WWF, WCW and more, and the holy grail items in his impressive personal treasury. 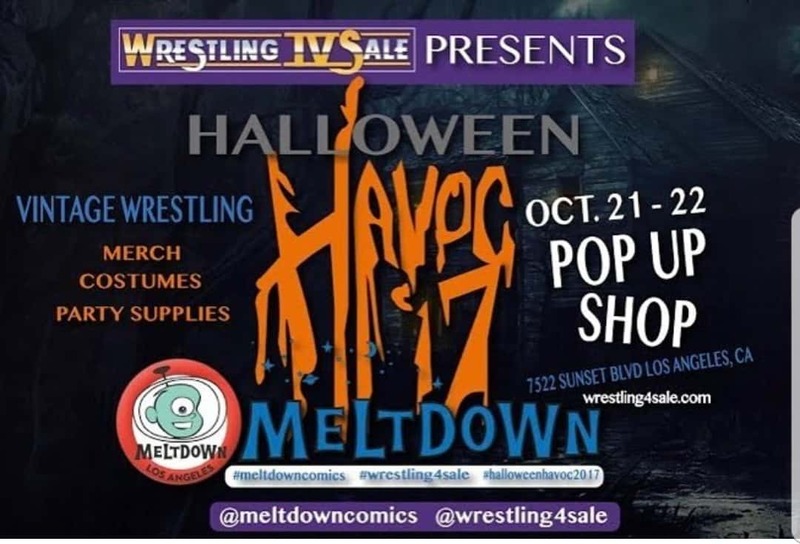 They also drop the details on the Wrestling4Sale Pop Up Shop on October 21-22, only at Meltdown Comics in Los Angeles, and why everyone should try and stop in; if you’ve ever wanted to set foot in a store with wall-to-wall wrestling merchandise, this is the event for you. Bring your wallets, maaaan! Closing theme by Mega Ran (@MegaRan) & Lynx Kinetic (@kinetic1977).